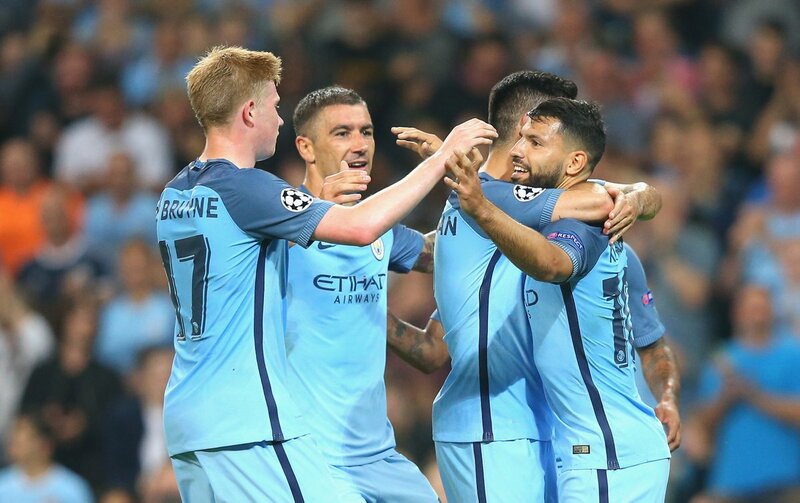 On the second night of Champions League action, a bolstered line-up harvested a feast of goals as Dortmund made their mark on the continent, and Sergio Agüero was on flying form. Meanwhile, the continuation of Leicester City's miracle spilled over to the best club competition on the planet as they dispatched their opposition at ease, and the defending champions of the tournament, Real Madrid, survived a scare at the Bernabéu. As the action came flying in around Europe, it was yet another evening to savour as the first batch of fixtures were wrapped up. Here, we recap all of the action. An awful day at the office for the Polish Champions was mirrored by an equally astonishing return to the Champions League for German outfit Borussia Dortmund. A record-breaking away romp to victory for Thomas Tuchel’s men ensured BVB returned to winning ways after the shock weekend loss to RB Leipzig, and a returning Mario Gotze got things started with a sublime header to meet Ousmane Dembele’s sumptuous right-wing cross. Dortmund once again struck with a headed goal, this time delivered by left-back Raphael Guerreiro and finished by Sokratis Papastathopoulos to double Legia’s woes. A couple of minutes later, Dortmund had effectively finished the contest inside 17 minutes; a new record was set in the process for the quickest 3-0 away lead in the competition’s history. USMNT starlet Christian Pulisic had a free-kick from just outside the box excellently saved but the ball then rebounded off several players and summer signing Marc Bartra found himself in the right place at the right time to fire home. Sokratis went close with another header before Aubameyang and Dembele struck off target before the referee blew for half time. A comfortable, dominant display by Dortmund had home fans jeering their side off as the players walked off for the interval. Ousmane Dembele continued to be at the heart of the visitors’ creative output, striking a fiery shot on goal which was met on the rebound by Guerreiro inside the box. A fourth goal to rub salt into the wounds of Besnik Hasi's side and put the gloss on the result. Substitute Gonzalo Castro slammed home from Pulisic’s driven ball to make it a five-star performance before Aubameyang ended the night with a well-deserved goal at the last. After a handful of missed chances earlier on, the Gabonese international shot off to leave Warsaw defender’s in his wake before chipping effortlessly over the onrushing goalkeeper to give Dortmund their biggest win in European history and to go top of Group F with Real Madrid and Sporting Lisbon to provide sterner tests in the months to come. 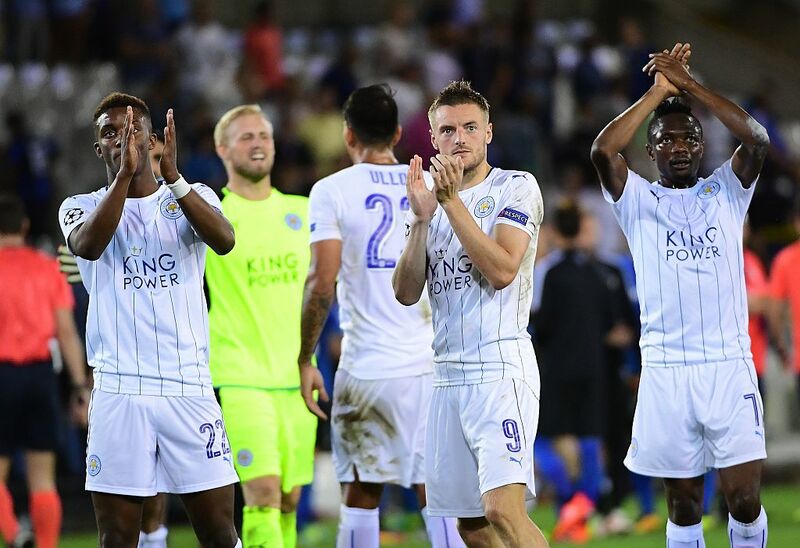 Leicester City announced themselves to the European stage with a resounding 3-0 thrashing of Club Brugge in their first ever UEFA Champions League outing. Claudio Ranieri’s men looked a completely rejuvenated outfit following the 4-1 drubbing suffered at the hands of Liverpool at the weekend, and didn’t take long to make their mark in Belgium. Moments after Jose Izquierdo threatened to give the home side the lead, Marc Albrighton made club history by becoming the first player to score for the Foxes in Champions League football. Luis Hernandez’s mammoth throw-in caused confusion amongst the Brugge defenders and the former Aston Villa man was on hand to tap in at the far post. A rattled and very much suffocated home side continued to invite pressure from the width of Ranieri’s attackers, and Jamie Vardy looked certain to score in the 27th minute before being hauled down by a late, desperate challenge by Timmy Simons. Riyad Mahrez stepped up to float a wonderful curling effort past Ludovic Butelle to send the travelling fans into a state of euphoria. The Premier League champions had to resist an early flurry of attacks from the likes of Izquierdo and Denswil before their talismanic duo combined to seal the deal. Jamie Vardy scampered clear before being taken down by goalkeeper Butelle to earn a penalty. Riyad Mahrez stepped up to the spot despite his shaky record from 12 yards this season; However the Algerian was not to be denied this time as he slotted home to end the contest and cap off a sensational Champions League debut for a team who simply can’t stop producing fairytale results. 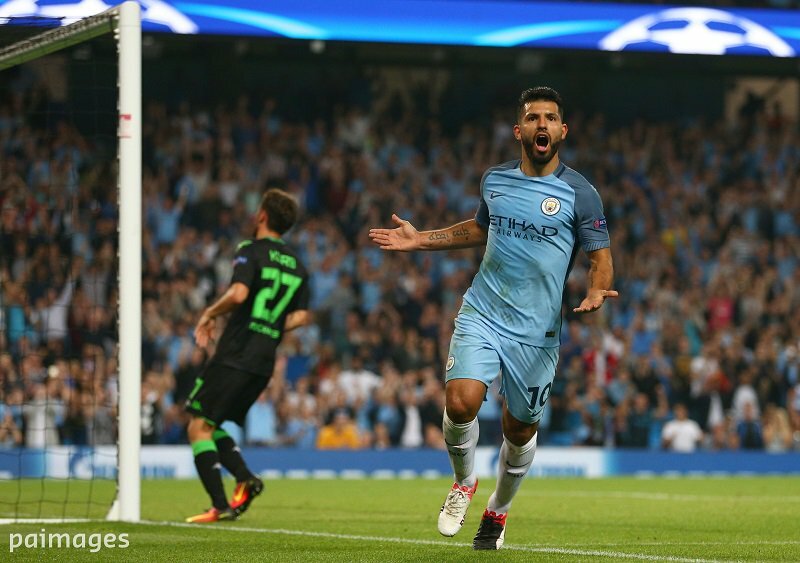 Sergio Agüero fired a delightful hat-trick as Manchester City torched Borussia Mönchengladbach with a fine performance in their postponed fixture at the Etihad Stadium. Following a water-logged pitch which forced kickoff 24 hours later, the Citizens needed just 9 minutes to break in front. Raheem Sterling held up well on the wing to offload towards Kolarov, who zipped a dangerous low cross which was ran on to and knocked into goal at the near post by Sergio Agüero. The Argentine's instincts relieved the tensions in the city and set him up for even more success. On the 27th minute, İlkay Gündoğan was felled in the area by Christoph Kramer after running on to the pass by De Bruyne - handing City a chance to double their lead from the spot. They did so with the ever reliant Sergio Agüero - coming back after an injury scare - drilling it to the right bottom corner and put the writing on the wall. Zabaleta scuffed an effort, while Sterling was denied after the excellent De Bruyne played him through as the hosts were in full control throughout the second half. That was sealed and stamped with the completion of Agüero's hat-trick, a sublime move which saw Sterling send him through, and the Argentine taking it round the keeper and bundling it in. Just for good measure, Kelechi Iheanacho capped it off in stoppage time with yet another sublime City goal, volleying past the keeper following excellent build-up and rolling out a fantastic fourth as Guardiola opened a new quest for European dominance. Defending champions Real Madrid left it late to overcome a one-goal disadvantage and start their campaign with a thrilling win, as Cristiano Ronaldo's free-kick and Álvaro Morata's last-gasp header lifted them over Sporting Lisbon. Despite holding the current Champions League crown, the contest was no walk in the park for Real Madrid who were already showing signs of frustration. Ronaldo needed just under half an hour to register his first shot of the game while Bale seemed to pick up a knock while Sporting Lisbon more than held their own in the first half. A blocked and deflected pass came into the path of Bruno César early in the second half who struck it low to the far left corner and left the Spaniards shell shocked. They had continued to chip away throughout the 48 minutes and were eventually rewarded. But as the first-half wore on, a hint of inevitability began to descend upon the contest. 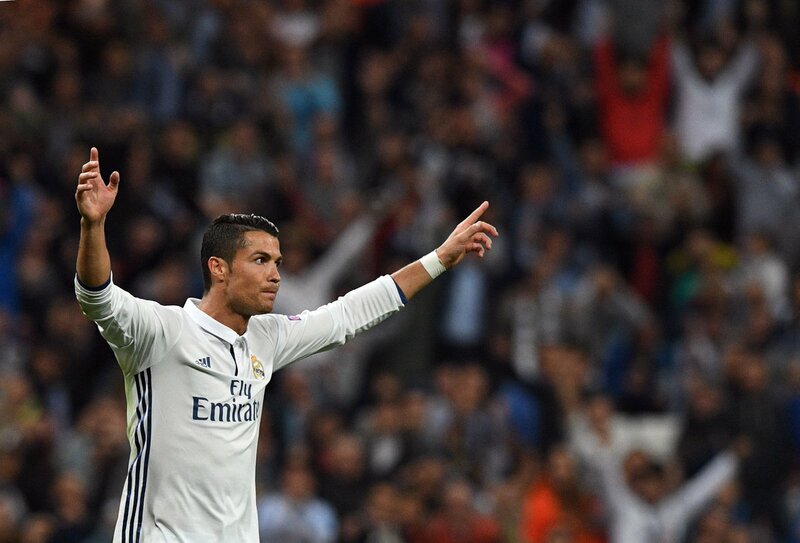 Cristiano Ronaldo would rattle the woodwork just as the Portuguese had the finishing line in sight. Then, with a free-kick opportunity soon after, Ronaldo would ensure no upset as he levelled the scoreline with a free-kick into the top right corner. Real Madrid would end up going one more, well beyond the stoppage time allocation when in the 95th minute Álvaro Morata headed them into a spectacular win. On the counter, James Rodríguez whipped one in towards his teammate who rose high and guided it past the keeper, giving the defending champions a winning start, but not without struggle. Tottenham stumbled out of the blocks to mark their return to the Champions League, as Monaco edged them with a 2-1 victory. With Wembley Stadium providing accommodation for the North Londoners' European bid, the atmosphere would be quickly cooled when just 15 minutes in, Bernardo Silva's stunner put the French in front. Blocking a pass in the middle of the park, he charged forward on a searing run, and found space on the right just inside the box to rifle a superb shot into the far side. Adding to those woes just after half-an-hour of play was Thomas Lemar, who doubled the lead by pouncing on a poorly-cleared cross. Djibril Sidibé's delivery from the left flank was not cleared adequately, falling into his path where he smashed it high into the net from close range. However, Spurs would be handed a lifeline going into the interval as Toby Alderweireld cut the deficit just before half-time. Érik Lamela's corner was whipped in menacingly, where he connected with a thumping effort to give the relocated fans something to be optimistic about. Danijel Subašić produced a heroic stop to deny Alli's volley as Tottenham came flying out of the traps for the second half. Things would continue in a similar pace as Harry Kane was stopped late on, but Pochettino's side were unable to conjure up some late magic and finished in frustration. A thumping header from Corentin Tolisso after Rafael's wonderful cross came off the underside of the woodwork and flew in to mark an excellent first-half for the hosts, who didn't bag another before the interval but did register an array of chances. Jordan Ferri then doubled things up early in the second half, with Cronet carving ope the defence and setting up his teammate to dink it over the keeper. Maxwel Cornet then got one for himself, with Lyon's third and final goal. 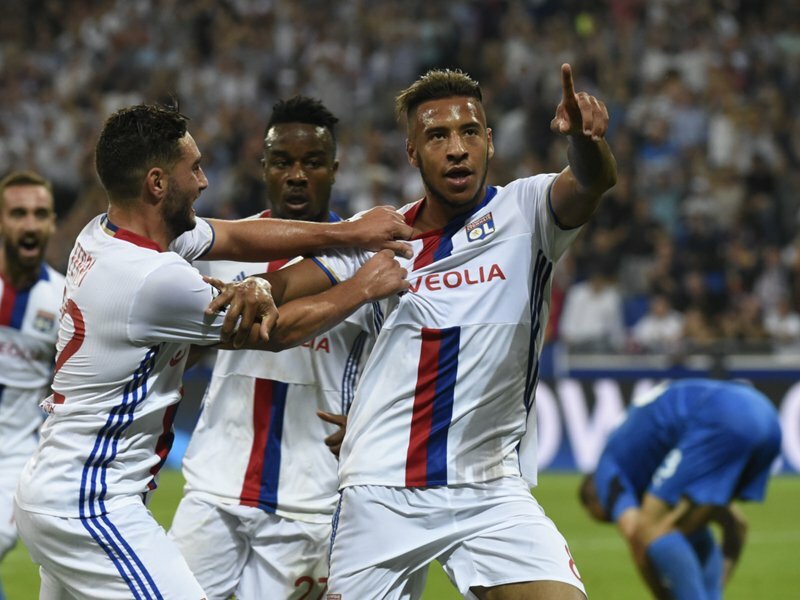 Some good link-up with Tolisso set him up to guide it into the net and give Lyon a flying start to their Champions League life. 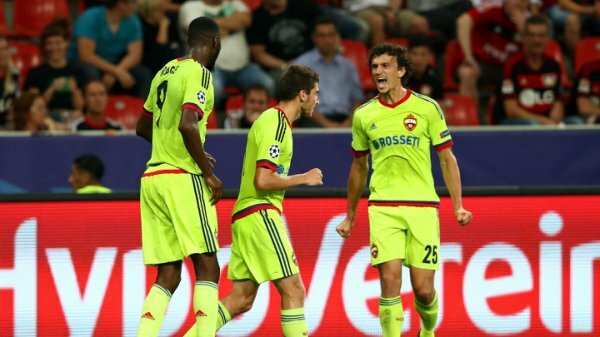 Bayer Leverkusen 2-2 CSKA Moscow: Despite surging out to a two-goal lead thanks to Hakan Çalhanoğlu and Admir Mehmedi's strikes inside 15 minutes, the Germans would squander their advantage as Moscow refused to give up in a thrilling first half. Drzagoev and Eremenko fought back with goals inside two minutes and things were level for the rest of the game. Porto 1-1 Copenhagen: Cornelius cancelled out Otavio strike with goals on either side of the half-time whistle, as Porto's late chances amounted to nothing. Juventus 0-0 Sevilla: Juventus and Sevilla played out to a surprising goalless draw as Gonzalo Higuain struck the bar in the second half with neither side able to strike a chord in Turin. 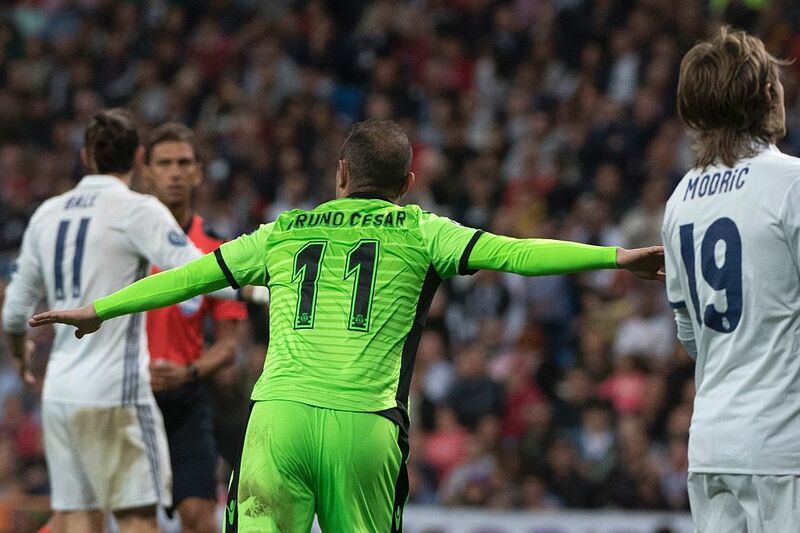 A heroic hat-trick for the Argetine as he punishes Mönchengladbach with a fine hauling, clinical throughout. City fans must be relieved that the early injury wasn't too serious, and if they can keep him fit, they've got a fighting chance throughout this campaign. The Algerian is continuing to send Leicester City to knew heights and had a fantastic first European game, marking it with this peach of a free-kick. A total of 50 goals after two excellent nights of Champions League action! 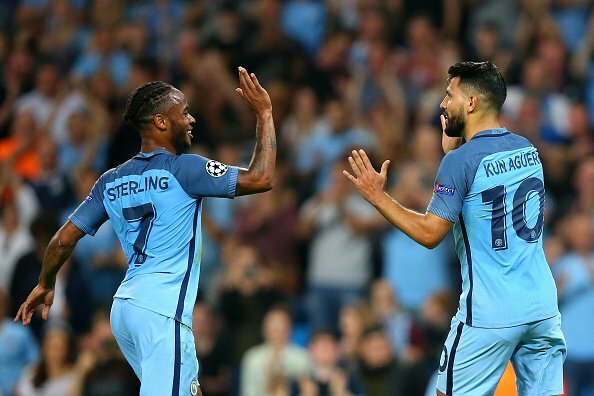 Manchester City and Sergio Aguero, along with Borussia Dortmund are the standout stars of the night but English champions Leicester City have earned their plaudits with a superb competition debut. It's good to have European nights back on again and if they bring more magic like these past two nights, we're in for a treat! UEFA Champions League roundup: Dortmund fly high while Leicester make dream start to Champions League life.